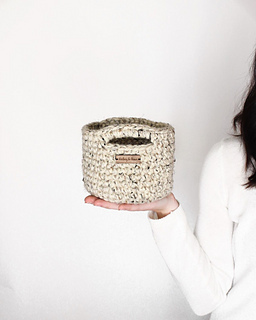 Not only is the mini basket super cute, she’s surprisingly functional as well. 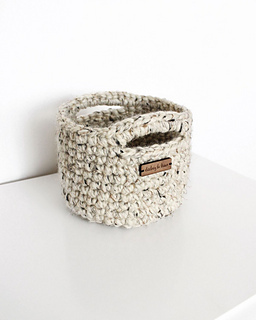 A perfect little holder for all your small trinkets, crafty items, baby supplies, bathroom toiletries, tv remotes, etc. 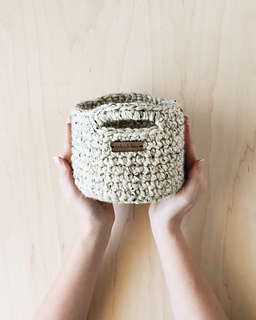 She helps give the sometimes not so cute things in your house have a lovely little home. Heck she even works perfectly as a hiding space for a spare roll of toilet paper. 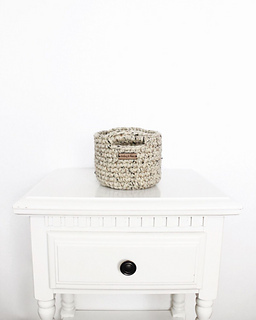 She looks so nice in any space and adds a spunky, homey touch wherever she goes. This pattern was designed with a beginner in mind. You will find information and photo step by step tutorials to walk you through the entire process of making a basket from beginning to end. Written pattern with all the steps conveinently condensed to one page for easy reference. 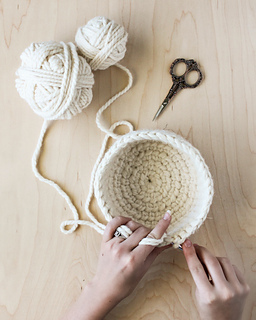 Perfect for advanced crocheters. 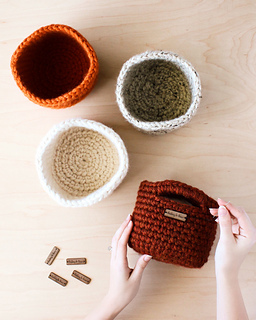 An over 30 page step by step photo tutorial file to help guide you through the process of making a Mini Basket. 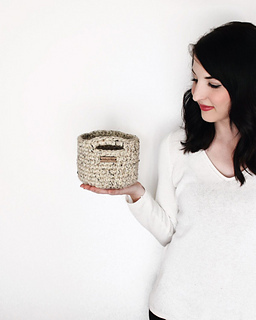 All my secret tips and tricks from years worth of making Mini Baskets and answers to all my frequently asked questions I receive about my personal basket making process. 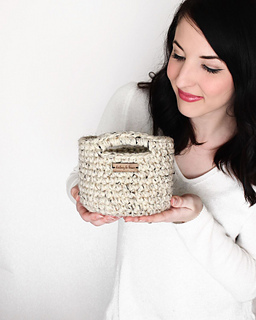 • Pattern comes complete with all my secrets for making the perfect basket and all the specific materials I use including brand of yarn and hook and where to buy wooden tags.